Hopper Aeration – Safe-Grain, Inc.
Hopper aeration is a specialty at Safe-Grain. Each system is custom designed to high efficiency standards for the hopper slope, diameter, sidewall height, grain type and moisture, and desired volume of airflow. We design to optimize critical elements including static pressure, duct velocity, and surface velocity while taking into account the depth of the grain and static and dynamic loads on the duct to prevent crushing and tear out. Safe-Grain does not use standardized one-size-fits-all kits. By designing to a specific objective, Safe-Grain hopper aeration systems are more cost effective whether designed to use your fans or ours. 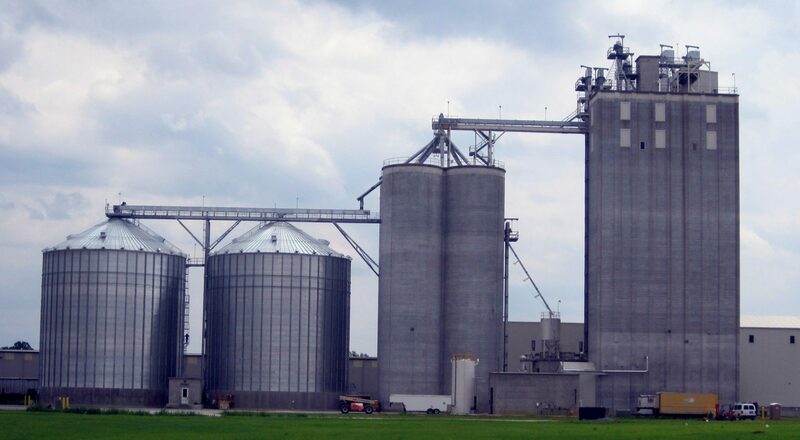 Hopper aeration systems can be designed for any brand of hopper bins or silos. They may utilize one or more aeration fans connected directly to the aeration ducts, or one or more high pressure fans connected to the ducts by a manifold system. Each system designed by Safe-Grain is complete with a job-specific installation drawing and thorough step-by-step installation instructions including a material list and tool list required to complete the task. It’s easy to obtain a proposal – just go to our Aeration RFQ (Request For Quote page and tell us what you need.